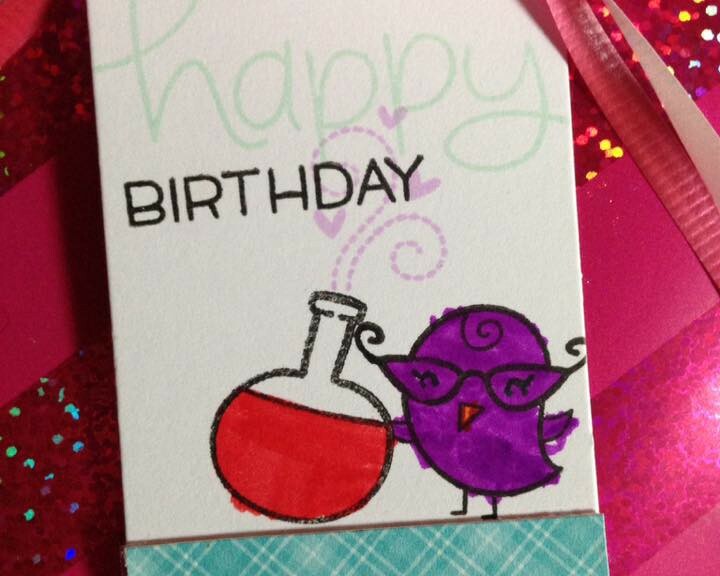 This may be one of my favorite cards I’ve ever made. I love the colors and the watercolor on it. 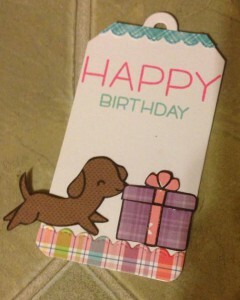 Extra Details: I began this card by die cutting two stitched rectangles from watercolor paper. 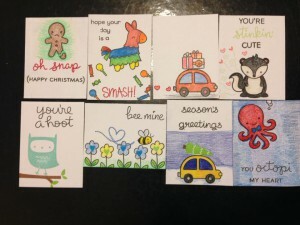 I stamped the images with Distress Ink. I used a water brush to move the color into the images. After the images were dry, I layered the smaller rectangle on some red card stock. 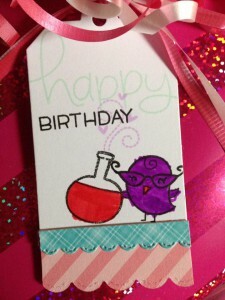 I added that to the larger stamped rectangle. Then, I added everything to a red card base. 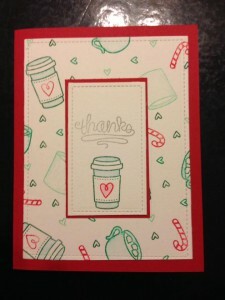 My Simon Says Stamp November 2017 Card Kit was lost in the mail. Because of this, I haven’t been able to use it as much as I would have liked yet. But the holiday break is coming, and I hope to really play with it then. 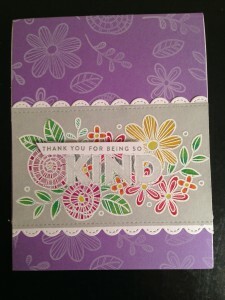 Extra Details: I wanted to dry adding white embossing over a color pencil colored image. 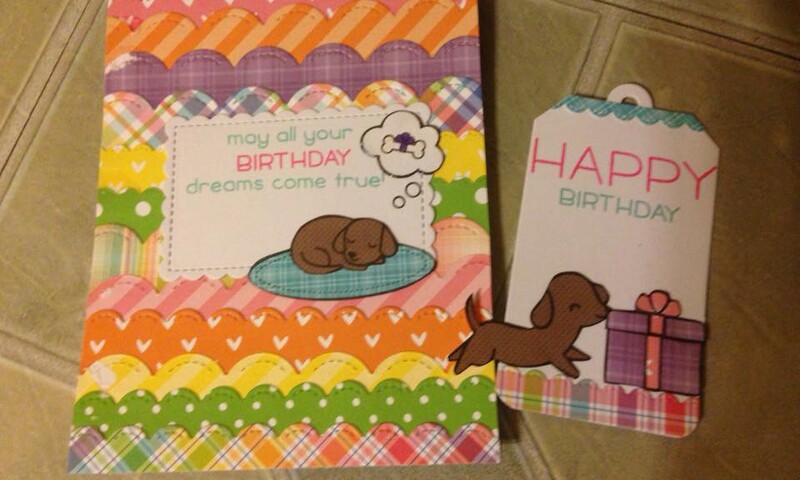 Once I had the stamp aligned in my MISTI, I decided to make two cards with slightly different colors. I stamped the floral image on two strips of light grey paper. I used colored pencils to color in both images. 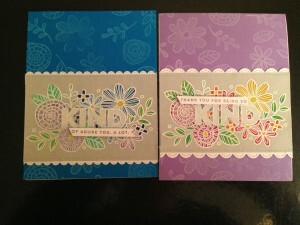 Then I re-stamped the images with Versa Mark ink and white heat embossed them. 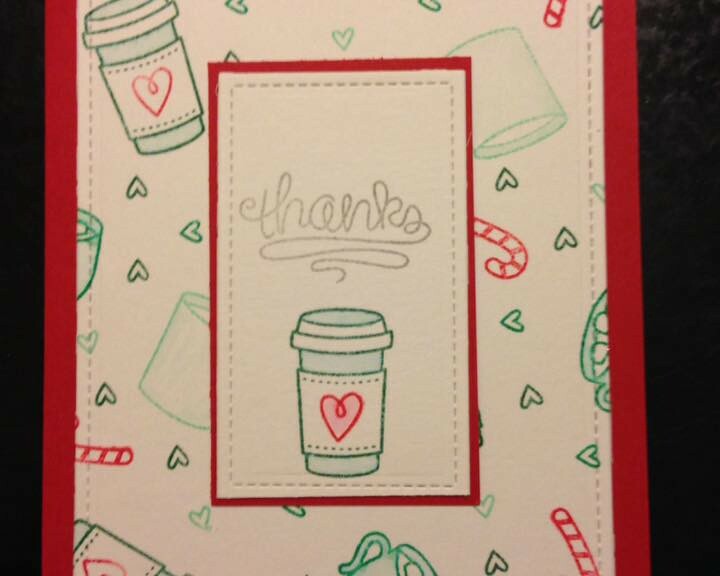 I didn’t do a great job with the embossing, but the overall look is cool. I created two card bases next; one blue and one purple. 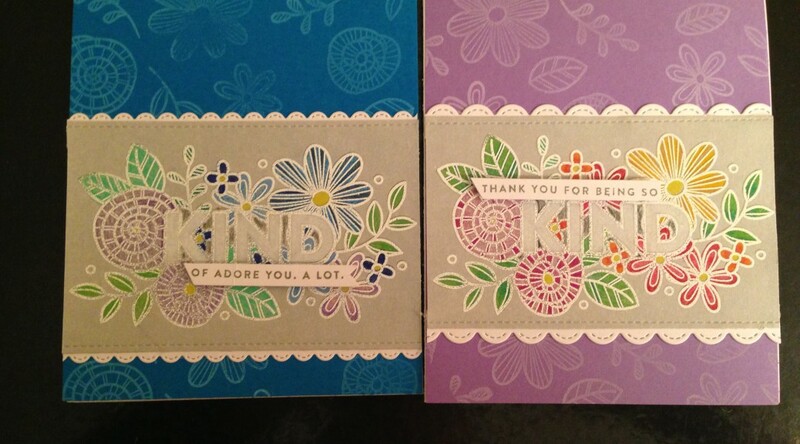 I used white pigment ink to stamp the individual floral images all over the card bases. Then, I got out the die machine. I added some stitching to the edges of each grey panel. 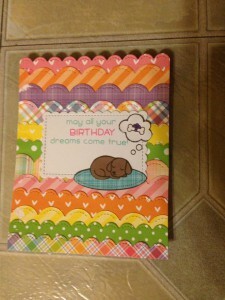 I also cut some scalloped borders for each card. 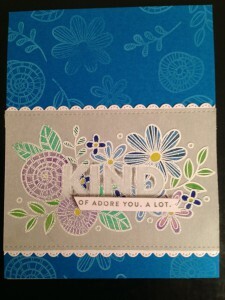 I stamped the rest of the sentiments with gray ink on small strips of white card stock. I adhered these strips to the stamped panels using foam tape. Lastly, I adhered all the layers to the card bases. 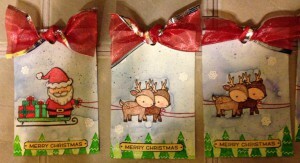 I combined a few Lawn Fawn stamp sets to create these panoramic tags. Santa is going to put them on my kiddos’ gifts this year. I love how I was able to create a large scene across 6 tags. 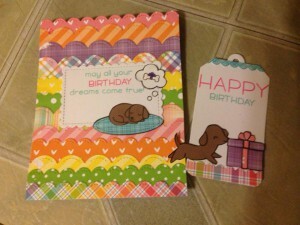 Extra Details: I began these tags by cutting some water color paper into 2 x 3 inch tags. 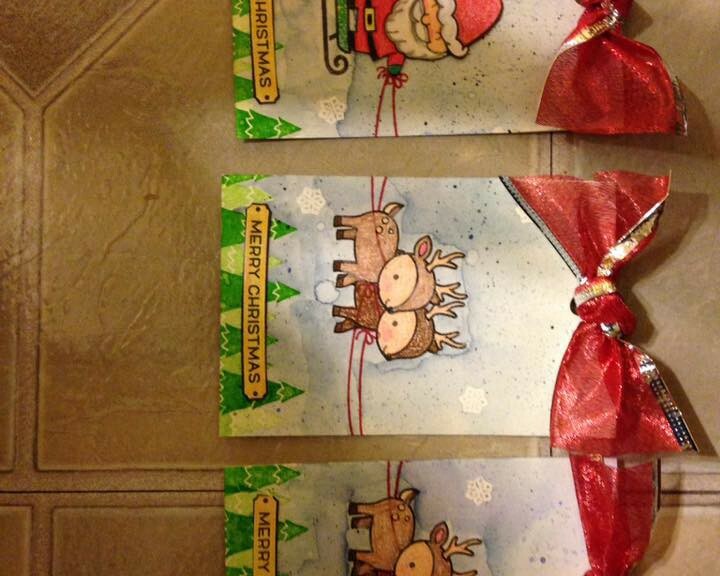 I created a mask for the reindeer and stamped pairs of reindeer on four of the tags. 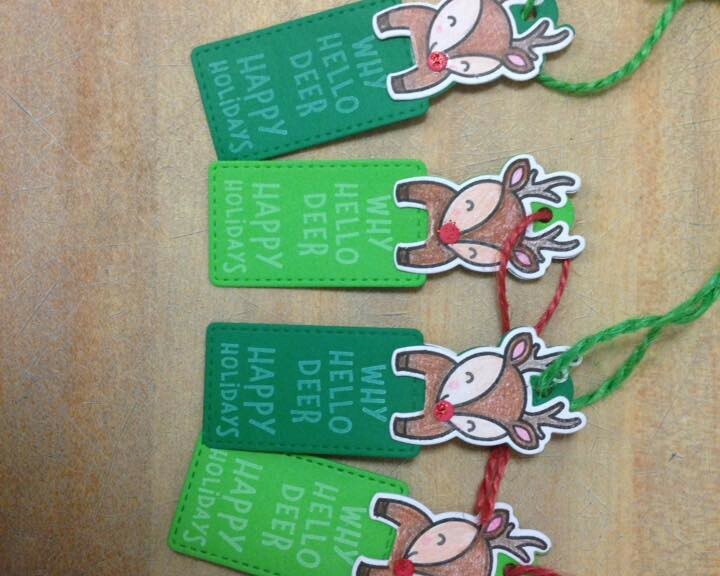 I stamped a single reindeer on one tag. I stamped the sled on the last tag. I used partial stamping to make the sled longer and I added a pile of gifts. The Santa I had in my stash of pre-colored and cut images. 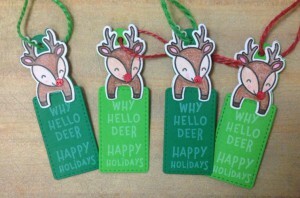 Using first and second generation stamping I added trees to the bottom of the tags. 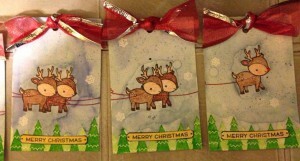 I used white embossing powder to add a few snowflakes to each tag also. 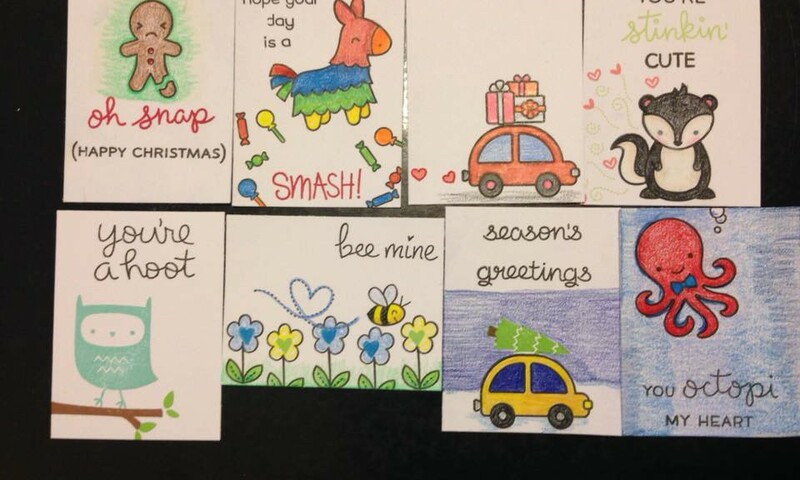 I used colored pencils to color in all of the images. 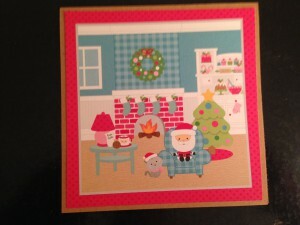 I used Distress Inks to add the blue to the backgrounds. I added some splatters of ink for interest. I used some red ink and more masking to add the reins that “connect” all of the reindeer. 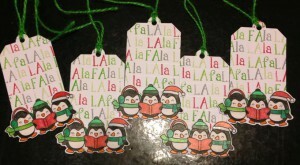 I felt that the tags were missing something, so I stamped, colored and cut out the Merry Christmas labels. I adhered those with liquid glue. I added some red puffy paint to Rudolph’s nose. 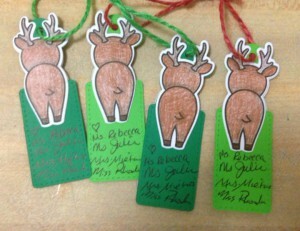 I used a wide red ribbon to finish off the tags. 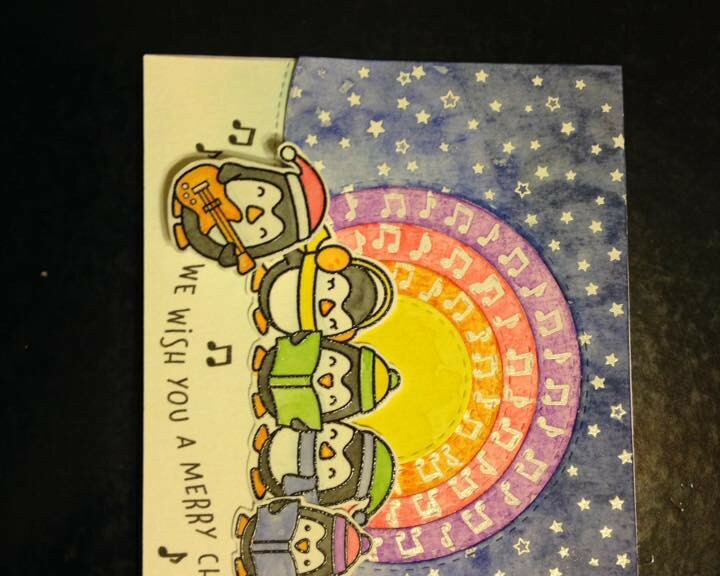 I love the penguins from Lawn Fawn’s Here We Go a Waddling. 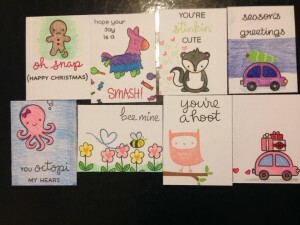 I used them on a set of Christmas Tags. Extra Details: I began with a half sheet of white card stock that I scored a grid pattern into. 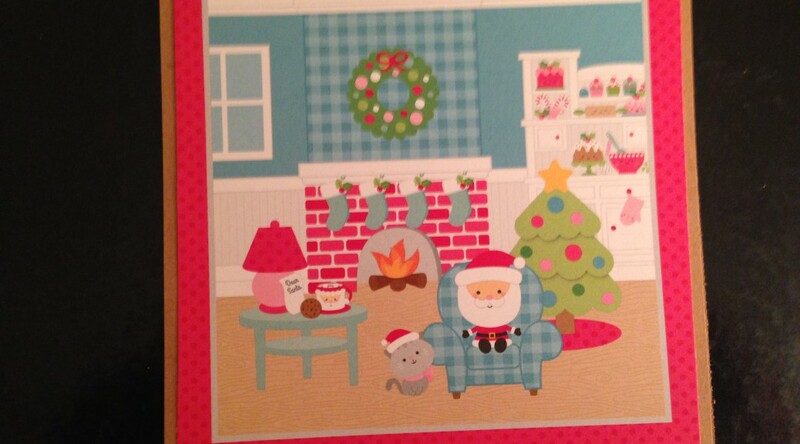 I used the grid pattern to help me stamp the Fa La La La La background. I used three shades of green ink, a red ink and a gray ink. Once the stamping was complete, I die cut 5 tags from the panel. 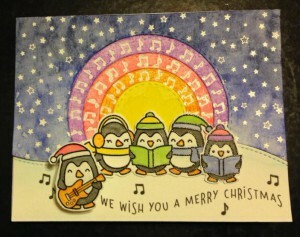 On a separate piece of white card stock, I stamped and colored the penguin carolers. I used colored pencils. 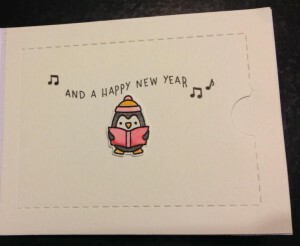 I fussy cut out each group of penguins leaving a small white border. 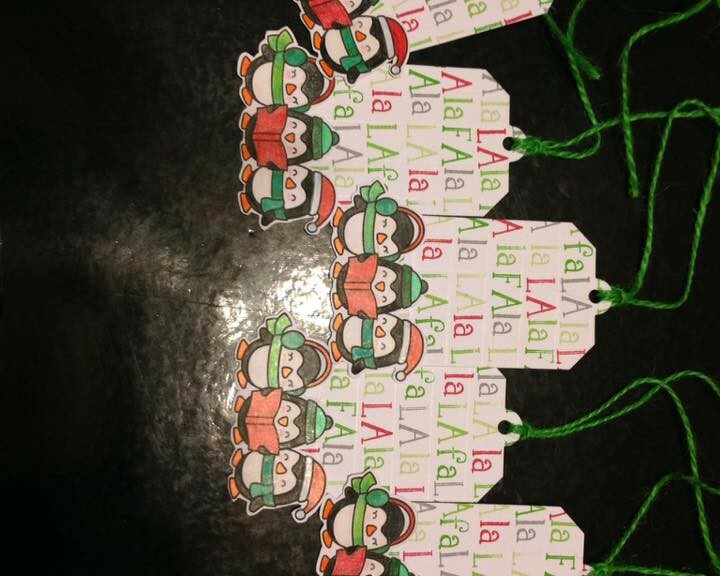 I adhered the penguins to the tags using strong double sided tape. 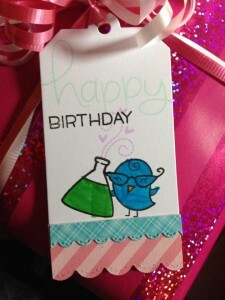 Lastly, I added some green twine and the tags were complete.